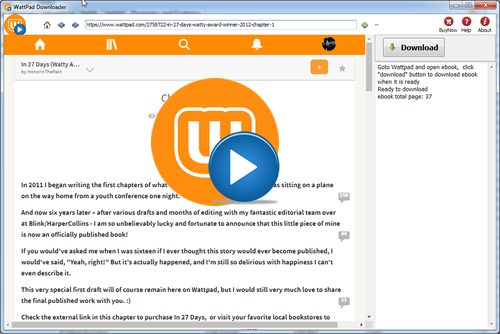 Wattpad Downloader is App to download wattpad ebook to pdf, it works like a browser, download all categories including classics, general fiction, historical fiction, non-fiction, poetry, spiritual, teen fiction among others, create new beautiful pdf file with 1-click, the new PDF file can read in Windows,Mac without limitation, share your ebook with friends. 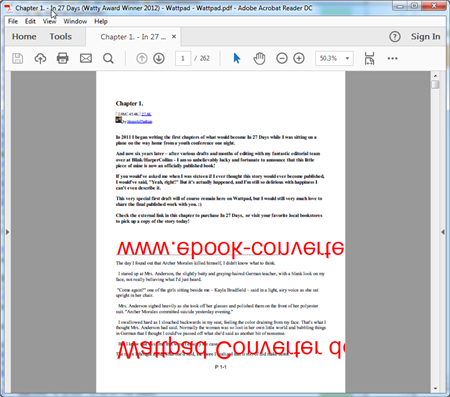 There is watermarks on pdf file in demo version, watermarks will remove in full version. 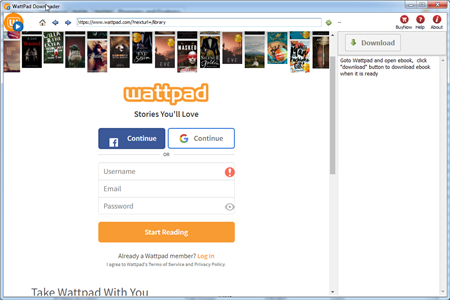 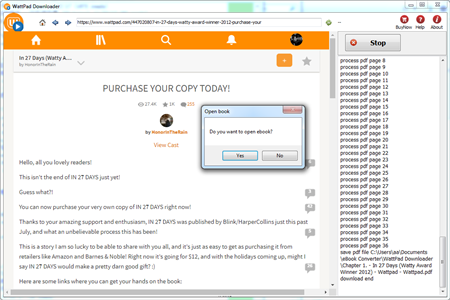 Run Wattpad downloader, login and goto library page, open book you want, wait 1-2 minutes till Ready to download message show up. 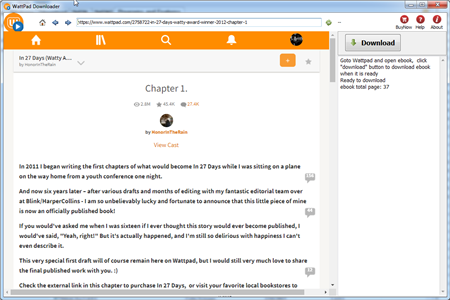 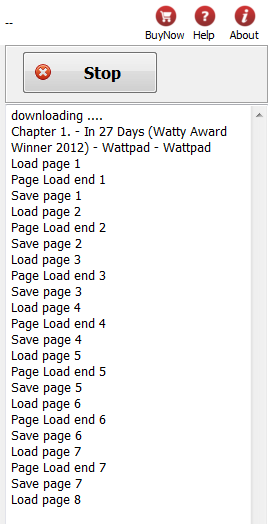 Click Download button to start, it will download ebook each chapter one by one, wait new pdf file created.